worthwhile, coupled with a belief in diligence, perseverance and one’s own efficacy. 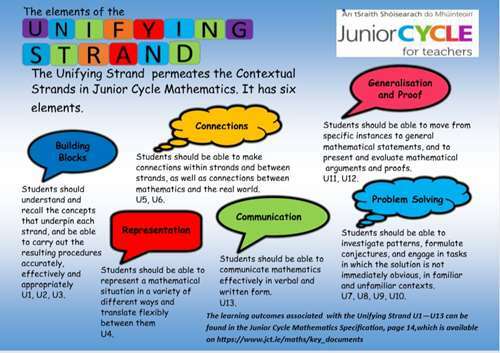 Learning outcomes are statements that describe what knowledge, understanding, skills and values students should be able to demonstrate having studied mathematics in junior cycle. 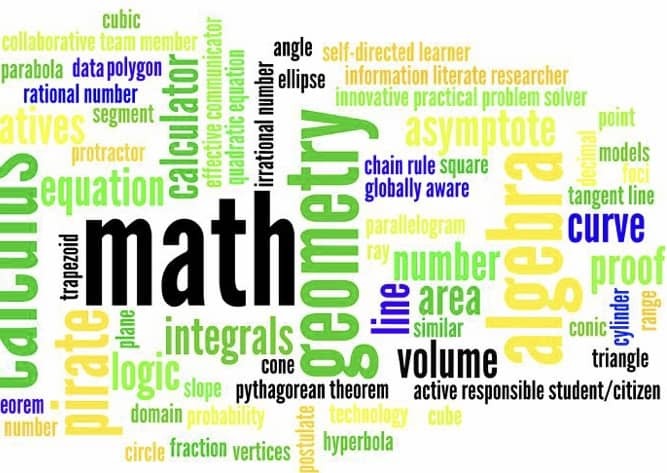 Junior cycle mathematics is offered at Ordinary and Higher level. 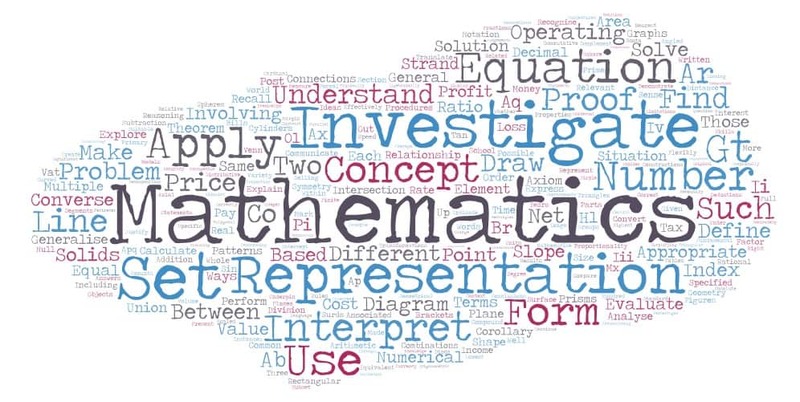 The assessment of mathematics for the purposes of the Junior Cycle Profile of Achievement (JCPA) will comprise two Classroom-Based Assessments: CBA 1; and CBA 2. In addition, the second Classroom-Based Assessment will have a written Assessment Task that will be marked, along with a final examination, by the State Examinations Commission. 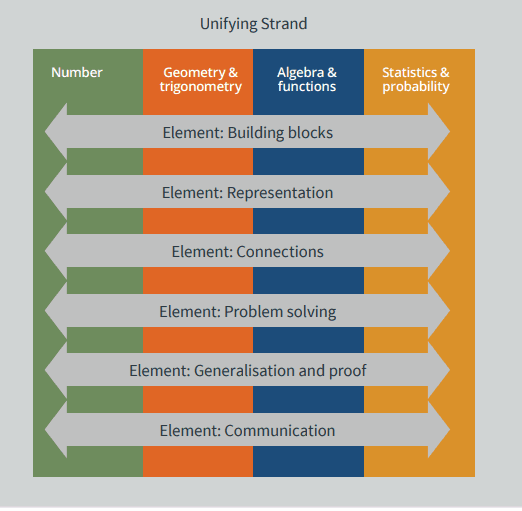 Students will, over a three-week period, follow the Problem-solving cycle to investigate a mathematical problem. The Assessment Task is a written task completed by students during class time, which is not marked by the class teacher, but is sent to the State Examinations Commission for marking. It will be allocated 10% of the marks used to determine the grade awarded by the SEC. The Assessment Task is specified by the NCCA and is related to the learning outcomes on which the second Classroom-Based Assessment is based. The content and format of the Assessment Task may vary from year to year. the State Examinations Commission (SEC). The examination will be two hours in duration and will take place in June of third year. The number of questions on the examination papers may vary from year to year. In any year, the learning outcomes to be assessed will constitute a sample of the relevant outcomes from the tables of learning outcomes.